The Seaman’s Church Institute of Philadelphia and South Jersey (SCI) is pleased to announce the appointment of Helene Pierson as its new Executive Director. 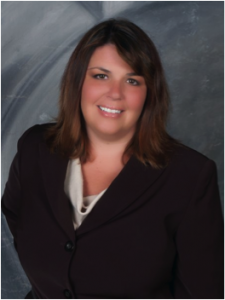 Ms. Pierson brings almost 15 years of non-profit management experience to our organization and has expertise in multiple areas of administration and operations. Ms. Pierson has been extensively recognized for her work from both within the organizations she has worked, as well as with the external communities she has served. Most notably, Ms. Pierson was named the Philadelphia Inquirer’s Citizen of the year in 2010 for her work at The Heart of Camden, Inc., a non-profit that served the community in Camden, New Jersey. Her most recent position was helping the community of Salem, NJ for the past couple years. “I look forward to serving the needs of the seafarer community in my new role while supporting our organization’s strong ministry of hosting and serving the human needs of the hard-working visitors to our local ports. In my previous roles, when there has been injustice in the community I served, I’ve been a strong advocate, and I see myself becoming the same for the seafarer community as well,” Pierson said. The former Executive Director, Peter Stube, will remain at the organization for a few months to help with transition. After 37 years in the active priesthood, Peter is looking forward to a slower pace of life which will involve some ministry, but also more time for children and grandchildren. “During my time at the helm, we have restructured the institute to more fully engage the rapidly changing maritime life and industry,” said Stube. “We gained our own nonprofit tax status for the first time in our history when we acquired 501 (c) (3) in November. We revised our bylaws in order to reflect our current ways of functioning”. “The Board of SCI is grateful for Father Stube’s leadership of the organization for the last three and a half years,” said Denmark. “He led the effort in obtaining our stand-alone 501 (c) 3 non-profit status from the IRS, improved the organizational structure of SCI and championed the first revision to our by-laws in over a decade. We thank Father Stube for all that he has done for SCI and wish him Godspeed in his upcoming retirement”. Helene Pierson is a faithful Roman Catholic laywomen who has rich experience in grant writing and fund raising and faith based nonprofits. She is also a proven administrator of nonprofits in Camden, NJ where she worked for the Heart of Camden a faith based organization that has provided economic development in the streets of Camden, NJ. She did exceptional work there. We could not have identified a better person to carry SCI into its next chapter of life. “I rejoice that this essential ministry will continue under the faithful stewardship of Helene Pierson,” said Stube. As part of our local community, please join us in supporting Helene Pierson as she takes on this new challenge, and giving gratitude to Peter Stube for his service as Executive Director, as well as staying on for a transitionary period.